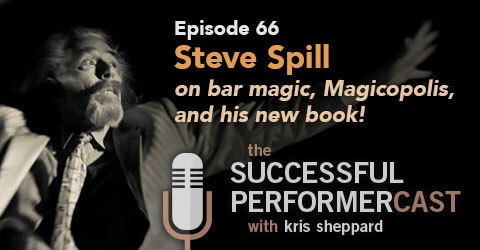 Steve Spill talks Bar Magic, Magicopolis, and His New Book! S6E6: Steve Spill — Bar Magic, Magicopolis, and His New Book! Steve Spill has a lot to talk about! 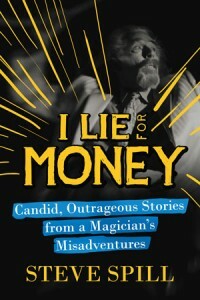 We talk about some of his early days doing bar magic at The Jolly Jester, his venue, Magicopolis in Santa Monica, CA, and some stores from his latest book, I Lie for Money, Candid Outrageous Stories from a Magician’s Misadventures. Throughout this interview we learn some bar magic strategy as well as some of the ins & outs of running a full-time magic venue. Steve Spill is a magician who’s had a lifetime of magic and still has room for more! Having studied under magical legends like Dai Vernon, Charlie Miller, and Francis Carlyle, he’s performed and produced shows around the world in places like the French Riviera’s Cannes Film Festival, Universal Studios Hollywood, Harrah’s Tahoe, and Massey Hall in Toronto. He’s had his hand in a number of TV magic specials like “World’s Greatest Magicians” on CBS and “Penn & Teller’s Sin City Spectacular.” on FX. In 1998, Steve opened up his very own magic venue called Magicopolis in Santa Monica, CA which is the home of “Escape Reality,” the show that stars him and his wife, actress Bozena (Bozeena) Wrobel (Vrobel). Finally, Steve just released his brand new book, “I Lie for Money, Candid, Outrageous Stories from a Magician’s Misadventures,” which is a memoir of his life so far. Be Our Guest by the Disney Institute: I just read this book and it’s been so inspiring to me in regards to my business and my show. I have the audio version of it and I’m listening to it for the third time already! 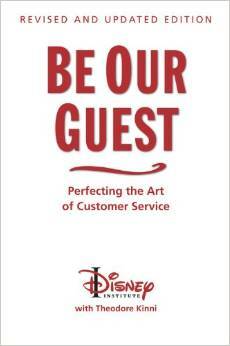 This book talks about perfecting the art of customer service, how disney incorporates “practical magic” into their business and how other businesses can do the same. If anyone knows magic, it’s Disney for sure! I know you’ll get a lot out of it. Check it out! Nobody makes a living as a magician by accident. You have to want it pretty bad. When you’re obsessed, you make your luck. Note: It was a very different time when Steve was selling drinks while performing bar magic. We do not recommend heavy drinking, smoking, or use of drugs for recreation. If you drink, please do so responsibly. • Talks about some of the ways they’d sell drinks. • They ow;don’t start a show until the drinks were full and ow;don’t let anyone said at the bar that didn’t have a drink. • Talks about some of the differences in bar magic from then and now. • Talks about how he uses the bar at Magicopolis. • Talks about his interactions with guests at his venue. • Why he built Magicopolis. • Sometimes it’s best to forge ahead, mistakes & all. • Being resourceful in construction. • Talks about how his theater was built with magic in mind. • How he got things rolling using a lot of publicity rather than advertising. • Tells us about some of the other revenue streams other than just ticket sales like private parties, fundraisers, corporate events, etc. • How they came up with their birthday party package. • Some of the very exclusive things he offers for custom parties. Available at all regular bookstores, online at Amazon, and Audible. Plus, if you buy it at Magicopolis, he’ll sign and personalize it just for you! • Tells about the origin for his book idea. • Practical as well as entertaining: there are fun stories within as well as practical lessons gleaned from his life. • Tells a few fun stories from his book including one involving a lit cigarette dropper, a story about Cardini, and the subsequent performance with said prop. Tells about doing a foreign TV show with a very specialized prop and all the things that went wrong during the live performance. • His earlier entrepreneurial pursuits and sneaking his magic flyer into newspapers he was delivering. • The harder you work, the luckier you get. By utilizing your skills, being true to yourself, and working hard, it’s possible to create an act that will, if not rake in millions, at least not find you on welfare at the end of the day. Scripting. Script all your work and do as many shows as you can. Where can we find Steve Spill? Public Performances are every Friday & Saturday at 8 PM and every Saturday & Sunday at 2 PM.